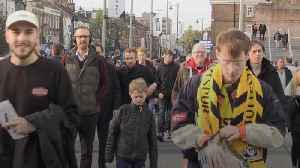 Fans of German side Schalke 04 converged on Lever Street in Manchester ahead of the club’s Champions League round of 16 second leg showdown with Manchester City on Tuesday, March 12. 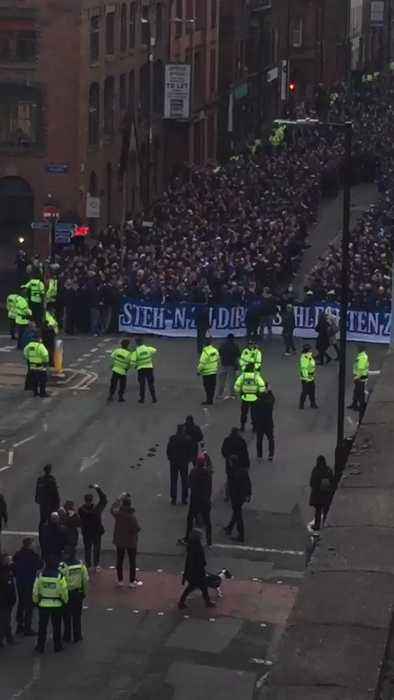 Footage posted to Twitter by Manchester resident Jill Bollard shows the enthusiastic Schalke fans jumping about on the street around three hours before kick-off. Just as well they were in high spirits early, since their team was on the end of a 7-0 trashing by the home side.